With a stay at Waldorf St Martins Apartments Hotel, you'll be centrally located in Auckland, a 9-minute walk from Auckland Town Hall and 13 minutes by foot from University of Auckland. 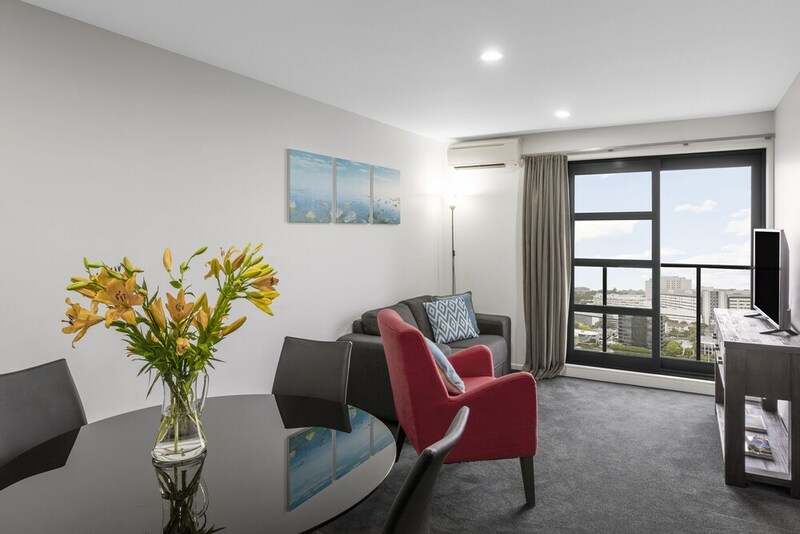 This 4.5-star apartment is 0.8 mi (1.3 km) from Sky Tower and 1.5 mi (2.4 km) from Auckland Domain. Make yourself at home in one of the 151 guestrooms, featuring kitchens with refrigerators and ovens. Rooms have private balconies. Flat-screen televisions with satellite programming provide entertainment, while complimentary wireless Internet access keeps you connected. Conveniences include phones, as well as desks and separate sitting areas. Waldorf St Martins Apartments Hotel features an outdoor pool and a fitness center. This luxury apartment also offers laundry facilities, dry cleaning/laundry services, and a safe deposit box at the front desk. Limited onsite parking is available on a first-come, first-served basis (surcharge). Waldorf St Martins Apartments Hotel has designated areas for smoking. This property's policy is to refuse certain bookings for the purpose of group events or parties, including pre-wedding stag/bachelor and hen/bachelorette parties. Only registered guests are allowed in the guestrooms. Free in-room WiFi has a 3-device limit. Parking height restrictions apply.